I have a small garden and I have a raccoons stealing my vegetables. 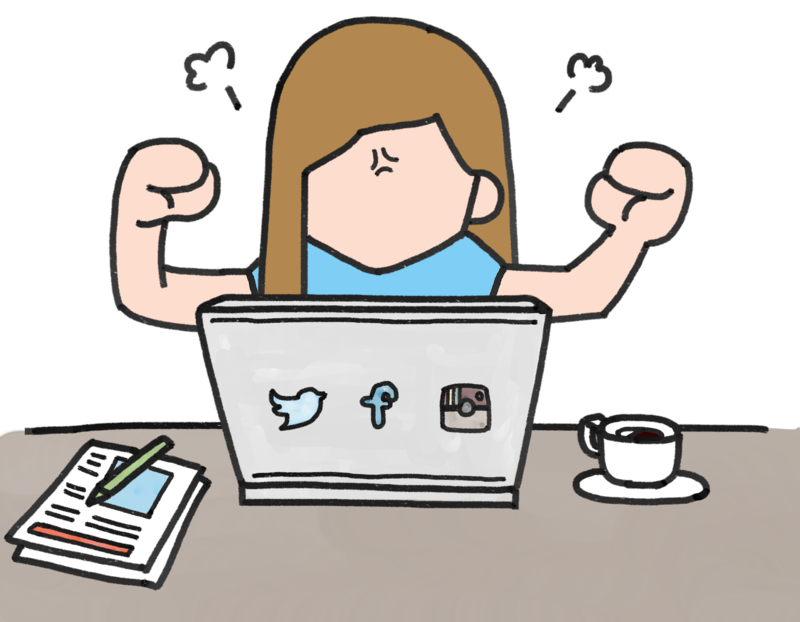 Here I list some worthwhile solutions to try. I cannot put up with these raccoons who come at night and steal the ripe tomatoes and peppers right out of my garden. They are incredible pests, and have even dragged my shoe off to the woods! I've had deer come and eat my parsley, and squirrels steal my sunflower heads right off the stem. All gardeners deal with pests of some kind at one time or another. But this raccoon family, that likes to help themselves to my ripe veggies must be stopped! Shortly after we were moved into our new home in a sprawling Florida neighborhood, we noticed the cutest little raccoons coming up to the back door at night. They poked around the patio and played in the bucket of water I had put out for my cats. They did not seem afraid of us, or my cats. Wildlife has to eat and survive and I thought let them be. Once I had my raised bed garden planted, and filled my fabric bags with dirt and plants, I waited patiently for the tomatoes to grow. I had three red tomatoes on the plant and picked one, saving the others for the next day. The next day the tomatoes were gone. This is when I began to strongly dislike raccoons. Mine is hard to work with and tangles. So far, the raccoons are staying out of the netting-covered area. 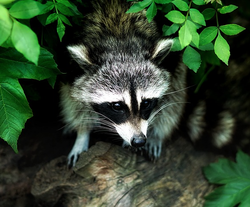 I've been reading up on how to keep raccoons out of the garden and there is a lot of information out there. Most of it is either not true - like the page that said "raccoons don't like tomatoes" - or it's not practical. From soaking rags in ammonia and placing them around the trouble area, to spraying hot sauce all over the plants, one has to be discerning when choosing a method. I don't want my yard to smell like ammonia! And hot sauce does work to keep animals away but it also has it's downfall. Rain washes it away. I also don't know about spraying my vegetables with hot sauce. Will everything I pick to eat be spicy hot? And will raccoons even realize the item is covered in hot sauce until AFTER they've picked it off the vine? I happened to have an old roll of netting in the garage and brought it out the other day. I painstakingly unrolled it and then put it over the raised bed garden, holding it in place with flower stakes. This was not something I really planned, I just decided to try it last minute. I used what I had. My netting is difficult to work with. It snags on everything. According to the description of the heavy-duty bird netting pictured, it does not have this problem. I plan to buy some. Then again, maybe my cheap, snagging netting helps deter the raccoons. Some people cover their spring garden to keep the birds from eating the seeds. Also berries, such as strawberries and blueberries should be covered to keep the birds out. Floating row covers for frost can help keep the vegetables growing even when the temperature suddenly drops. It can also help keep the garden from burning in the hot sun. 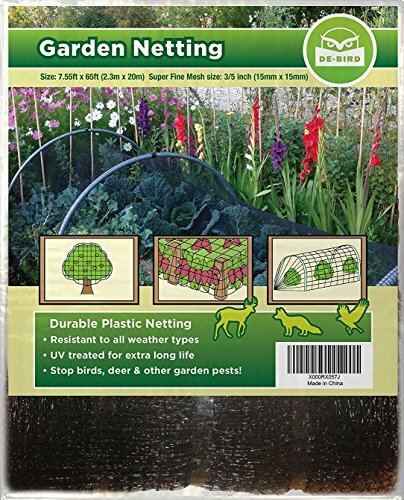 Netting allows insects through, while hopefully keeping birds and animals out. 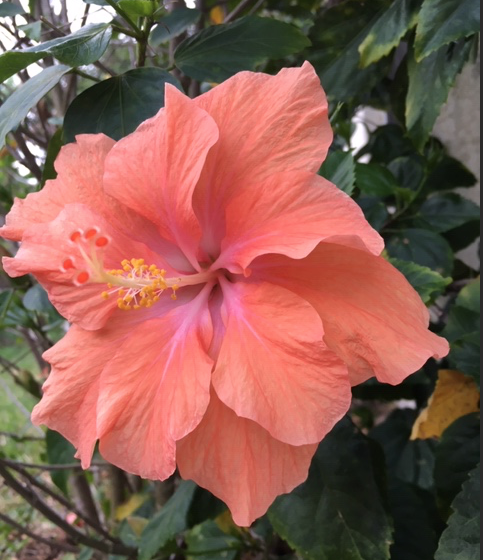 Fabric won't allow bees to pollinate the flowers, so don't cover constantly with fabric. These come in handy to keep covers in place. 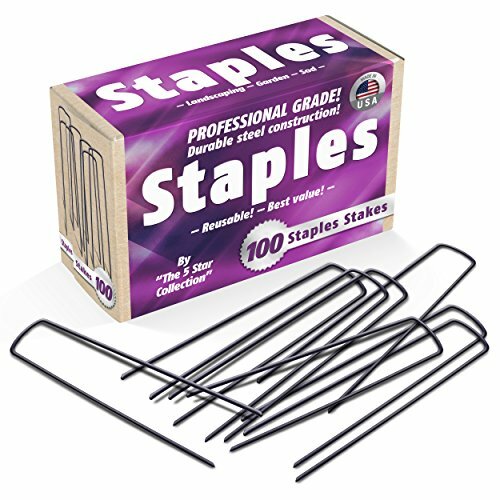 Support Frames - Lots of people make their own, and I don't have any experience with these, but they may help when using this netting. 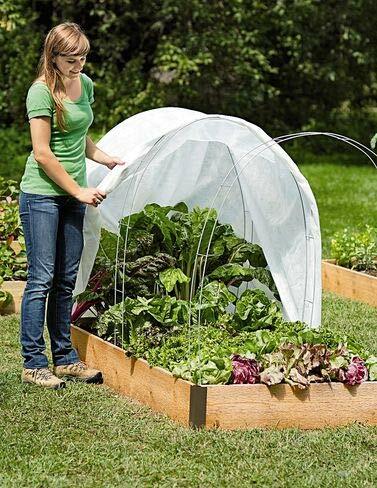 Choose a size that will work with your garden size and netting / fabric cover size. All That Garden Work - Just to Feed Raccoons! They have stolen my tomatoes, ripped up my bell pepper plant, and stolen my shoe! Growing a vegetable garden takes time, work and patience. Seeing the vegetables ripen and waiting for the day they can be picked is fun. But to have that day arrive and find that raccoons helped themselves to the produce you grew is aggravating to say the least. At first I thought they would just take the red tomatoes, but then I began to notice small green tomatoes littering my grass. The rodents were pulling off the little ones just for fun! They've also pulled seashells out of the flower gardens and dragged them around. I find them out of place in the morning. And worst of all, they stole one of my pricey water shoes! I had left my shoes on the back deck to dry, and in the morning only one shoe was left! Fortunately I found the shoe near the raccoon tunnel entrance that leads into the woods next door. I look forward to eating my next batch of tomatoes. My photo of my tomato garden in New Hampshire, available at Pixabay. My garden is a typical raised bed, so it's not huge. I can't help with practical solutions for a large garden area, except to say put this netting over the problem areas. Raccoons especially love corn. I have never grown corn. Supposedly they don't like anything that is prickly, such as cucumbers and other vines that might hurt their sensitive paws. They never touched my basil and parsley. They broke the green pepper stem, but left the broken pepper lying in the dirt. They seem to act like little naughty children, getting into things and making the largest mess they can. I hope that once they have no reason to come into my yard, they will stop bothering my garden. I used flower stakes to secure the netting in three places, which was enough to hold it in place. My worry is that as the vegetables grow larger they will become tangled in this cheap netting. I will probably replace it. This is where I write about growing hydrangeas and my gardening adventures. 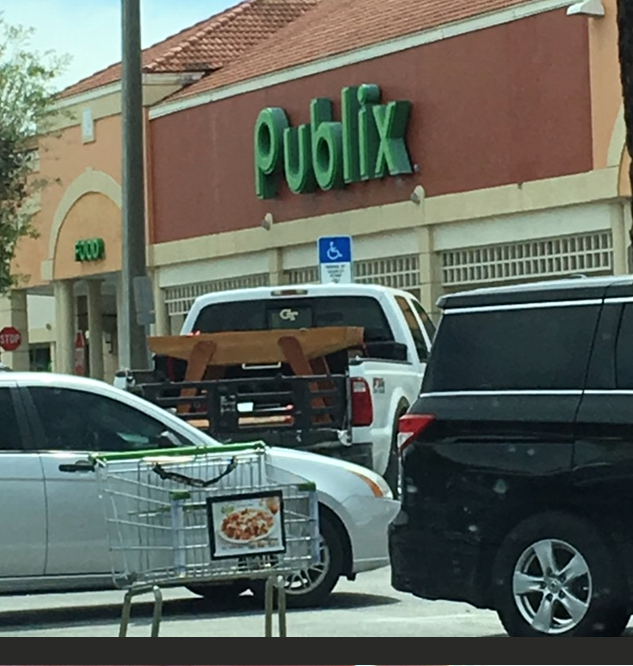 What Has Happened to Publix? Any suggestions for keeping these garden pests away? A bunch of rubber snakes might be even better. I'll keep it in mind. The real problem is people think they are cute, so they fed them. This makes them come to other people for free food. And, they lose their fear. A rubber snake might be a good tactic. Animals adapting to urban life is exactly what has happened with foxes in Britain. I had no trouble with raccoons when I lived in New Hampshire. Here in the South I believe they have lost so much of their natural habitat that they have learned to live in neighborhoods by stealing trash and eating our garden vegetables. Good article! I don't have the problem with racoons here, thank goodness, as we do not have them in Britain, but it is good to know of garden problems in other parts of the world. I certainly net some of my young plants against pests prevalent in my locality, such as wood pigeons. Planting perennials which are disagreeable to white-tailed deer is a successful, green strategy for deer-proof gardens. Deer-proof shrubs, which are naturally unpalatable to deer, serve as an effective strategy for keeping whitetails out of gardens.